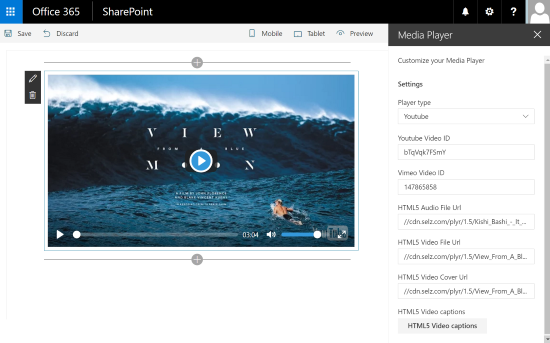 The Media Player Web Part is a SharePoint client side web part built with the SharePoint Framework (SPFx). With it, you can insert a video in your pages that is a HTML5 compatible video or audio files, a youtube video or a vimeo video. This web part uses Plyr.js lib.